© CNET Yes, the GXE is an electric Corvette. And it has a manual. Building a car from scratch is complicated, to say the least. When Tesla first started it worked off a Lotus chassis to develop the Roadster and now Maryland-based Genovation is taking the same route. 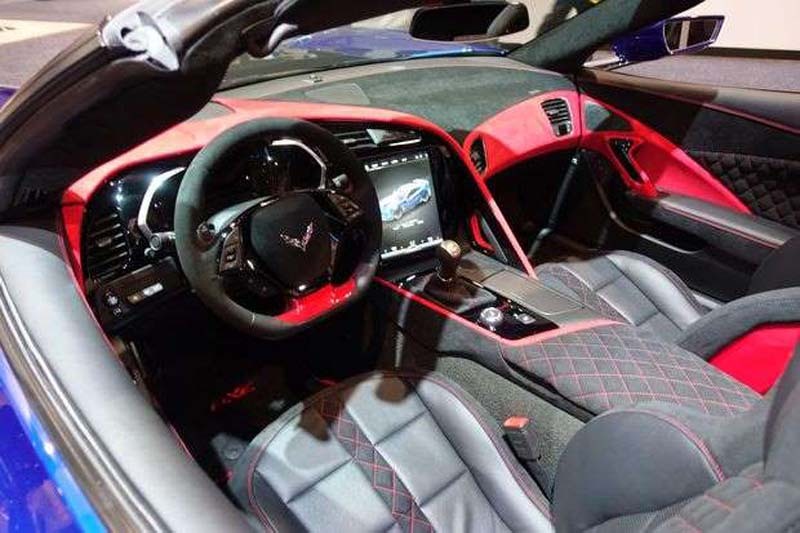 At CES the company showed off the GXE, a Corvette Grand Sport with twin electric motors stuffed under the hood. An all-electric Corvette is pretty cool in its own right, but Genovation is going one step further, offering a seven-speed manual transmission in the GXE. The Tesla uses a single-speed reduction gearbox, which offers incredible acceleration but doesn't do much for top speed. Keeping the manual gearbox, or the available eight-speed automatic, allows for both quick acceleration and fast speed. The company claims a sub-3-second 0-60 mph time and a top speed of 220 miles per hour. We'll be sure to test these claims if we get a test drive. 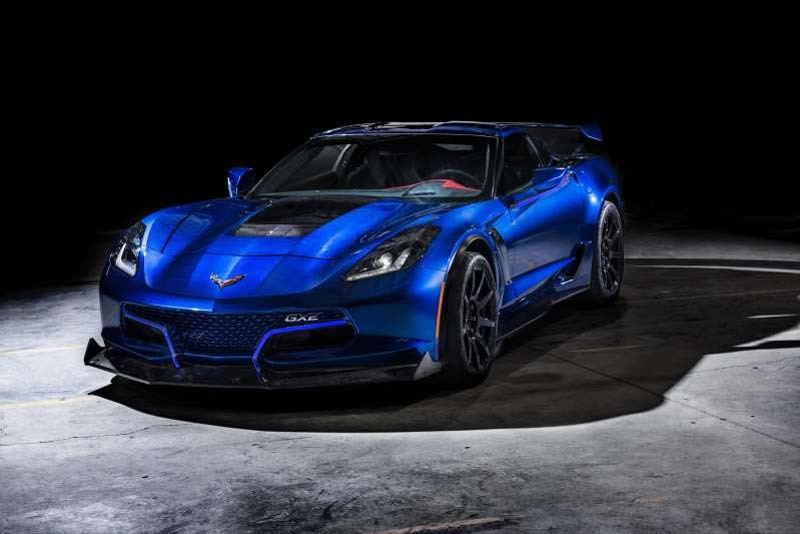 Twin electric motors are stuffed under the hood, producing 800 horsepower at the wheels and 700 pound-feet of torque. Five battery packs are good for 61.6kWh of storage of go-go juice, enough for a range of 175 miles. Unless, of course, you drive with a rock on your right foot, which will lower the range significantly. 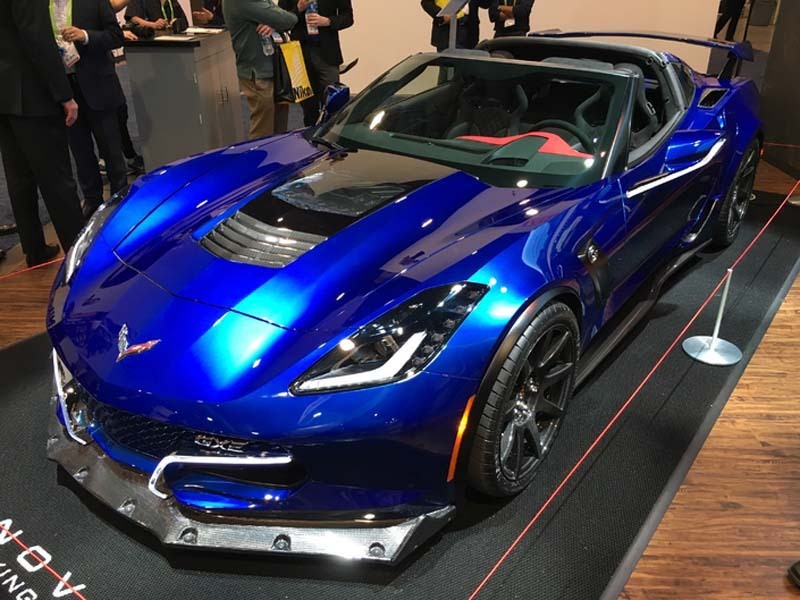 Although the Grand Sport is available with GM's stellar magnetic ride control, Genovation decided to go with a third-party suspension that drivers can program to fit their favorite tracks like Laguna Seca or Road America. The interior of the GXE is all alcantara, all the time. Every visible panel is wrapped, if not quilted, in the stuff. Each car is bespoke, with customers naming their own unique color. You'll need to be one of the 1% to buy a GXE, however. Genovation will only make 75 of the GXE electric monsters, at a price of $750,000.